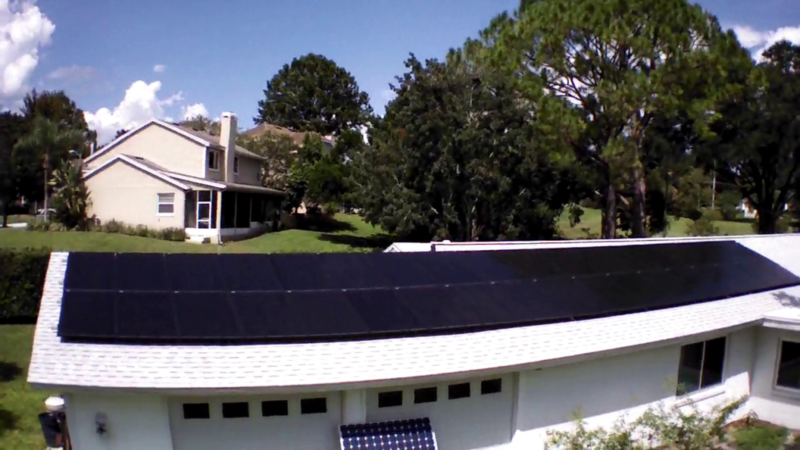 Five months ago we turned on our new grid tie solar system and started to produce power. In the first five months, we have had two components replaced under warranty. The first was one of the 36 SolarEdge DC optimizer units (A $75 component with a 25 year warranty) that are mounted under each of the solar panels. The Solar Edge monitoring system had flagged that one of the optimizers was not reporting (and presumably also not producing power) and sent a message to our installer (3Guys Solar). They called me (before I even knew anything was wrong) and let me know they would be sending a crew out to climb up on the roof to replace it the next day, so that particular panel was only down for only 2 days. The other 35 panels continued to produce power. The crew said that they sometimes have to replace several optimizers on a house, and some houses never have any fail. The second component to fail was the system’s main DC->AC inverter, a 10kW Solar Edge grid tie inverter (a $2,000 component with a 12 year warranty). On October 23rd I noticed on the phone monitoring app that we had no power produced, so that night I went out and rebooted the inverter. The next day, 3Guys solar called me to report that they had received a fault code from the Inverter via the Solar Edge monitoring system and were working with Solar Edge to try and resolve the fault. 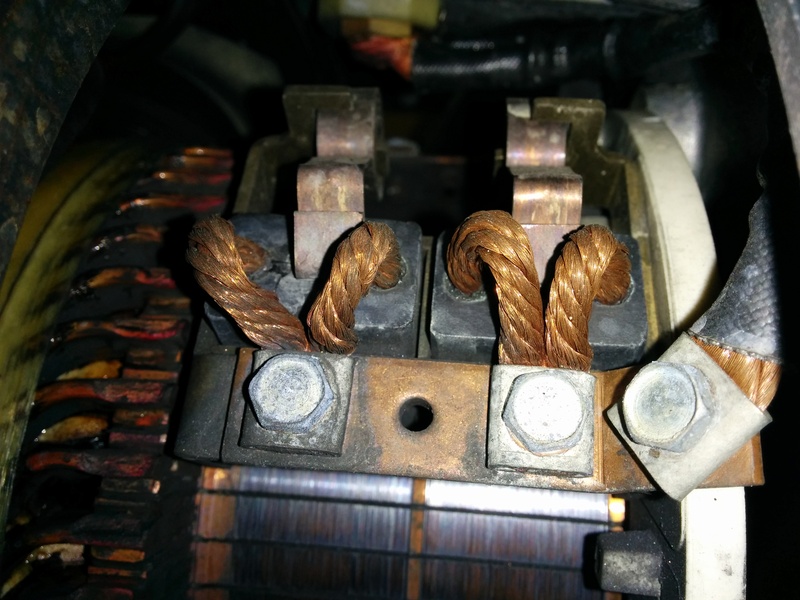 The following day they called again to tell me that they would need to replace the inverter under warranty. Unfortunately, it took close to two weeks to receive the replacement unit from Solar Edge, so we were not producing solar power again until the 7th of November. It was concerning to have the inverter fail within the first three months, but it is covered by a 12 year warranty, was replaced within two weeks and we haven’t had any problems since. 3 Guys Solar also sent us a check for $95 to cover the cost of the energy generation lost during this period. This is a limited time program, and was not part of their original install contract, so the check was not expected but appreciated. (By my estimates they overpaid us by 20-30$ for the energy the system wasn’t producing while the inverter was down.) The warranty coverage by 3Guys Solar (the installer) and Solar Edge (equipment manufacturer) left nothing to be desired. My expectation is that with solid state electrical equipment like this, most of the failures that are going to happen will happen early in the life-cycle (or very late in the lifecycle), and I hope the equipment will be stable now that we’ve gotten the early failures out of the way. In this 5 month period, we generated 5096 kWh of solar power, and used 7405 kWh of electricity (paying for 2309 kWh from Duke, at a cost of $337.44 (-$95 credit from 3GS lowers this to $242.44)). In the same 5 month period last year, we used and paid for 7378 kWh of electricity from Duke, (costing $977.81) so our usage appears to be closely correlated to before we had the solar system. By averaging production between the week before and the week after, I estimate that in the 15 day period our inverter was down we should have produced an additional 540 kWh of power ( $70 of electricity at 13 cents per kWh). So without the inverter failure, we would have produced around 5636 of the 7405 kWh we used, or 76% of our total electricity usage via solar. [With the inverter failure, we were only at 69% of our power from the sun.] 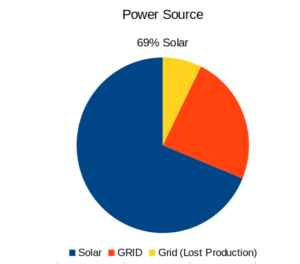 Our goal was to produce 80% of our electricity from the sun, so these numbers are close to our goal, and I hope that the sunny spring (and no more inverter failures) will raise our percentage. From a cost perspective, because Duke Energy has a fixed customer charge, our solar cost savings is lower than percentage of power generated, and was a savings of between 65% to 75% off our electric bill. Estimates made with less than a full year of solar data are going to be wildly inaccurate. The Aug->January time period is cooler than other months, so our AC usage will be lower, but there is also less solar production in the winter, meaning that our generation will be lower as well. The following numbers are a guess, and are much less accurate than those I hope to calculate after the system has been working for a full year. The addition of Trading / Friends / Gifts to Pokemon Go has added an extra level of play (work?) to the game. These are my thoughts on how to optimize friendship and gift sending and opening. So, what do you need to build a large digitally color controlled LED outdoor Christmas tree display? (Commonly called a “megatree” by people in the Christmas display community.) And how much will it cost? First, you need strings of color controlled RGB LED lights, wires to connect them, and a few power supplies. I bought 16 strands that have 50 lights each, with 6″ spacing (PixaBulb w/ Strawberry lens) from http://www.diyledexpress.com. (I also got a 17th strand as a spare, and am using it as my tree topping star right now). This cost me $650 (including extra connection wires & two 12 volt power supplies). Then you’ll need a lot of mounting hardware (lag eyes, quick connect links, etc) and wire ropes (small cables, cable thimbles & crimp connectors) plus zipties, lots and lots of zipties. I used stainless steel hardware from e-rigging.com except for the galvanized wire rope that I bought at Harbor Freight (shipping a 500′ spool of stainless 3mm cable was prohibitively expensive). Including miscellaneous pieces of wood I used for my mounting ring and star tree-topper, a few extension cords, tent pegs and a 100′ run of Ethernet cable, all of this hardware cost me around $245. I’m not including the cost of all the tools needed, plus a laptop to sequence and control the show. 4x 1/2″ x 6″ Stainless Steel Lag Eye Bolts – Mounted in my tree. Completely overkill for supporting my relatively lightweight megatree, but may be re-purposed in the future for heavier loads. Holds up 4 support cables that allow me to raise/lower my top support ring. 20x 3/16″ Stainless Quick Links – for connecting and disconnecting the four support cables and top ends of the light strands to the top ring. I bought a 50 pack from a Chinese seller on ebay, as stainless steel quick links were quite expensive otherwise. 40x 1/8″ Light Duty Stainless Steel Wire Rope Thimble – Used at the top and bottom of each light strand, plus for the cables that lift the top ring. 16x 3/16″ x 1″ Stainless Steel Lag Eye Bolt – For connecting the top of the light strands to the top ring. 4x 4″ Stainless Steel Flag Pole Cleats – My jury-rigged solution for holding the four cables that support the top ring. I’m sure you could come up with a better solution. 16x 9″ tent pegs (bought at Walmart) for staking down the ends of the light strands. 8 packages 100′ 3mm galvanized wire rope from Harbor Freight (16 26′ light strands, 4 50′ support cables, leaving several 20′ seconds left over…) I seriously considered buying a 500′ spool of 1/8″ stainless cable from e-rigging.com, but the added shipping cost made it prohibitively expensive. I’m willing to pay double for stainless, but not quadruple to get it shipped to me. Plus I figure the LED light strands will probably fail before the 3mm wire rope rusts through…. 800-900 black zipties from harbor freight (to hold the lights to the light strand cables. Misc deck screws to hold the top support ring together (made of 2×4’s) and mount the flag pole cleats and cable guard enclosure to the tree. Here are some of the best holiday / Christmas GIF’s I’ve found to play on my PIN One from Pins Collective. 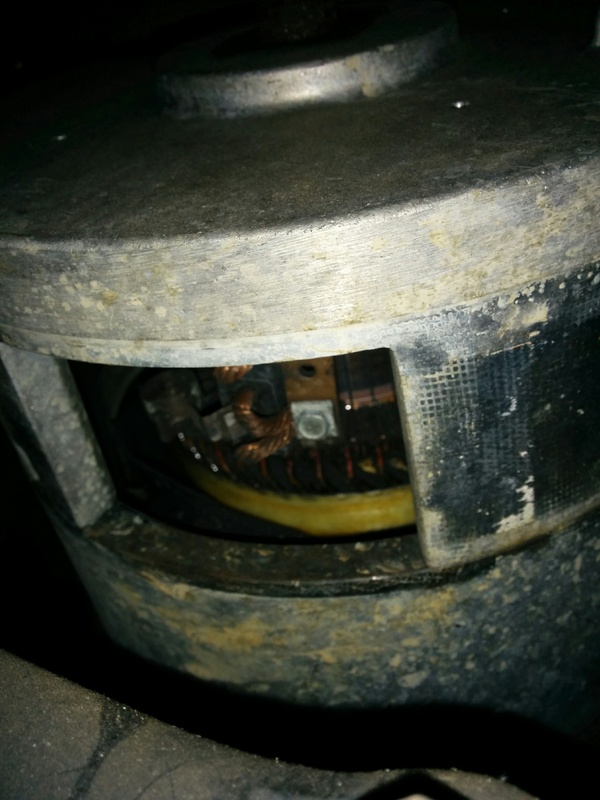 Here are some photos of the brushes installed on my DC FB1-4001A series wound motor, rated at 72-144 VDC, (19kW) 25HP continuous ( 100 ft/lb of torque / 48hp @ 500 amps ) which is 9.1″ in diameter. 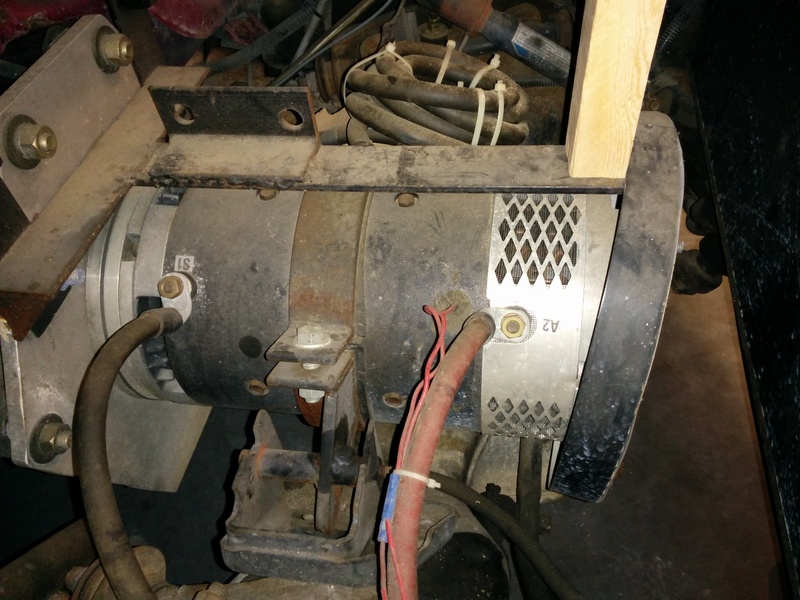 My motor has a curved protective metal sheet that wraps around the front of the motor (the aluminum with diamond cutouts that has a cutout for the A2 post in this photo). It has a spring catch that releases it (not shown) on the other side of the motor. I use the metal sheet to hold down fiberglass screen material underneath the diamond cutouts to provide extra protection from road debris. The brushes are accessed after removing the sheet. The brushes are mounted in pairs, and each brush is held against the commutator by a metal spring and has two copper pigtails to transfer the current. 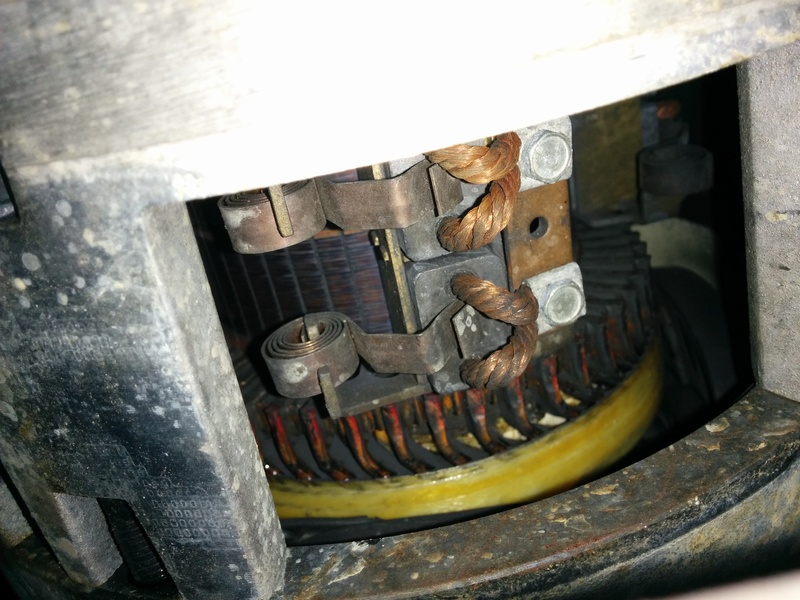 Here is a closeup of two brushes where you can see the commutator which rotates under them. 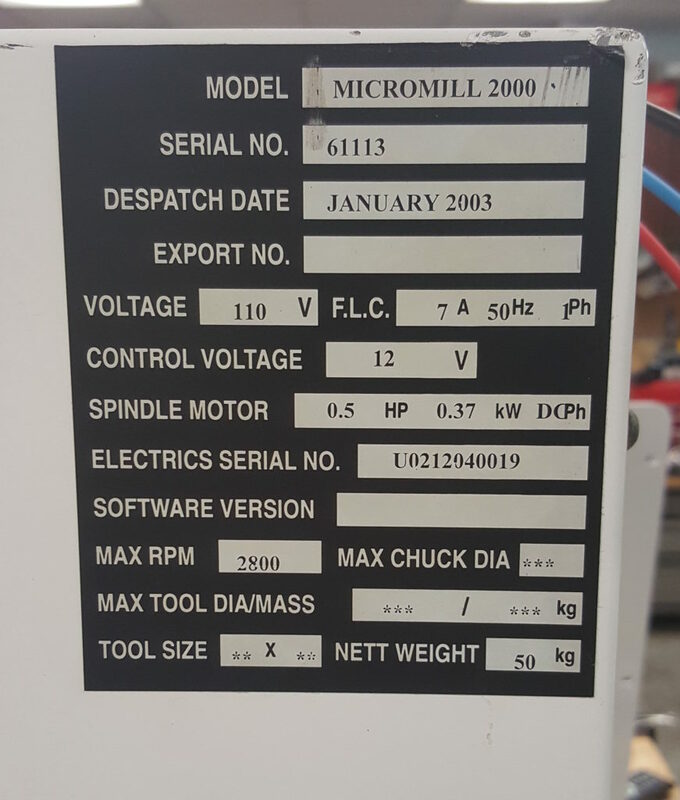 Cliff Burger is part of a makerspace ( http://www.tcmakerspace.com ) which had a Denford Micromill 2000 (January 2003 dispatch date) donated to them. When referring to my four part series( 1, 2, 3, 4) about how I got mine working under CNC control, they noticed a few differences with their model and wanted to share that information. 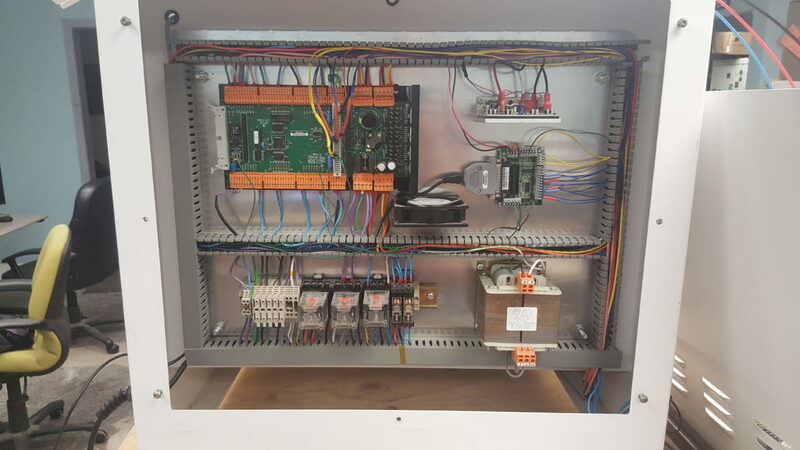 Instead of having a custom made relay & power board, their mill has it’s relays mounted to a DIN rail (bottom left of the case in the image below). The spindle go relay (SGR) is located in the 2nd from the right position. 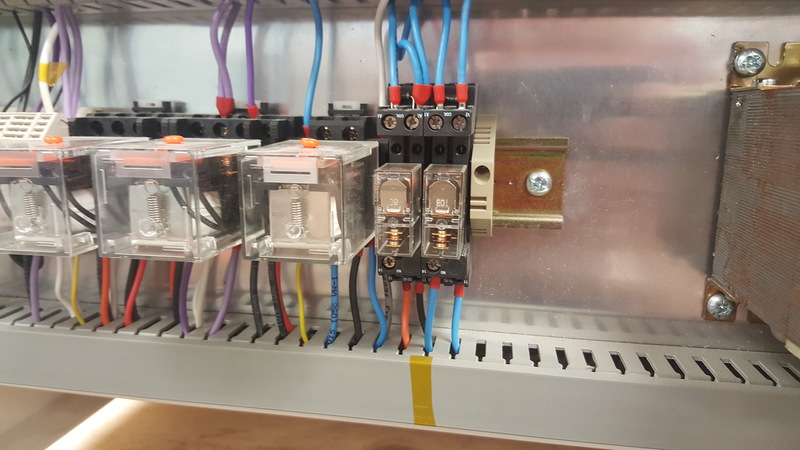 On the DIN rail, the spindle activation relay is the second one in from the right. It’s a 12v relay with the ground for the coil being controlled by the C6 pin. However, currently the relay never sees a 12V signal either. Not sure if it’s something wrong with my board or it’s waiting for another command signal before it sends the 12V out as well. Either way, I’ll likely just get a 5V relay and switch it right off the BOB, but for the time being I’ve moved the orange wire from the “14” position to the “12” position to supply power to the board at all times. 1) My limit switch are on different pin numbers due to me chopping 1 wire a bit shorter than I should have (oops!). 2) default units are in inches so the steps per INCH are correct, but may need slight tweaking for each application. 3) backlash settings will need to be measured for each mill, or disabled. 4) I’m running a UC100 UBS adapter board so Mach3 may give an error message the first time you open it with this config file.